"How did you get your hair like that?" asked a relative at my nephew's birthday party. It snapped me out of the intense heat for a second, and I immediately grabbed my hair in defense and looked through it. Was there cake in there or something from the kids? You never know, right? Y'all she was talking about the waves in my hair. After some discussion, I figured out what she meant--it's a common question I get, so I thought y'all might benefit as well. Look at the picture below--can you tell the difference between my hair on each side? 1-When curling your hair, vary the size and the direction of the curl. If you don't, it will end up in one giant curl. No one with naturally wavy hair has hair that does this. I used to study the wave pattern on my sisters' hair (#beautynerd) to try to figure out how to get that in mine. 2-Only curl the middle section, as seen above. Leave the top and the bottom of hair out of the curling iron. 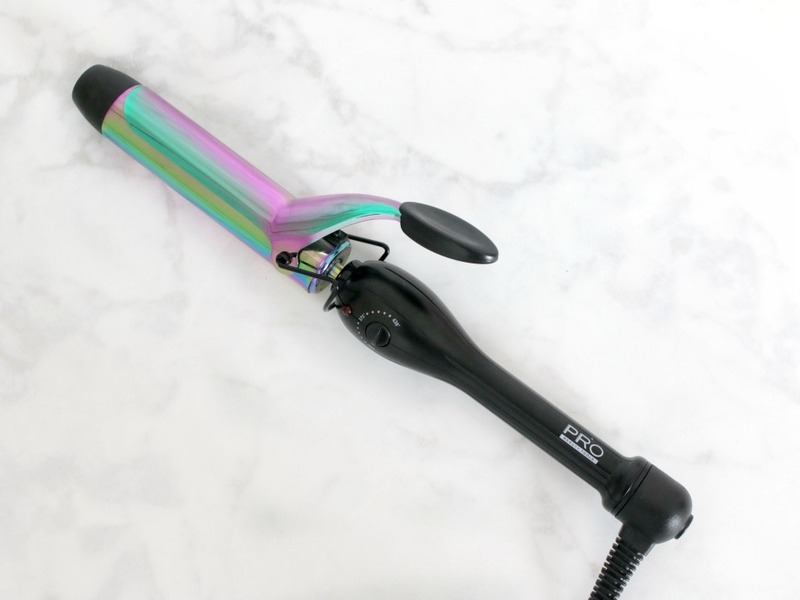 Because I know someone will ask (and that would be me if I was reading this post on another blog) my curling iron is via PRO Beauty Tools® 1 1/4” Professional Iridescent Curling Iron. This is the 1 ¼ barrel. You can find them in different sizes and at Target for around $29.99. If you follow me on Snapchat, I've been obnoxiously posting this because it's so dang pretty! Or maybe I'm just drawn to shiny things. 3-So what if you've already curled your hair and it still doesn't look right? Here's my best trick that changes the game--use a flat iron on ends, and at the crown if needed. It instantly adds that undone look to waves. I've seen this done in salons countless times and it works on all lengths of curlable (I made that word up, so go with it) hair. This is also a perfect technique for those who haven't yet mastered waves with a flat iron. Sometimes I'll go over the whole section with the flat iron to really flatten out the curls, but it depends on the mood I'm in or look I'm going for. Sometimes I might add a little pomade to define pieces of hair, but that's it. Wavy hair that looks messy, undone, and lived in, just like me on a Monday morning. Now all I need is a beach, y'all. Who's in? What's your favorite way to wear your hair? 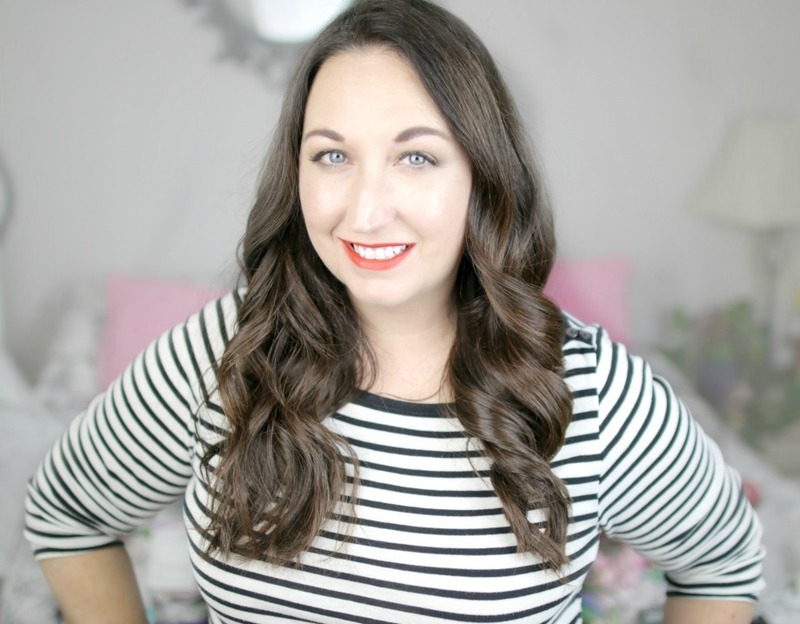 Do you like messy waves or polished curls? I love loose waves, I wish mine looked this good when I do them. Great tips! Your hair always looks gorgeous and I love your loose waves! 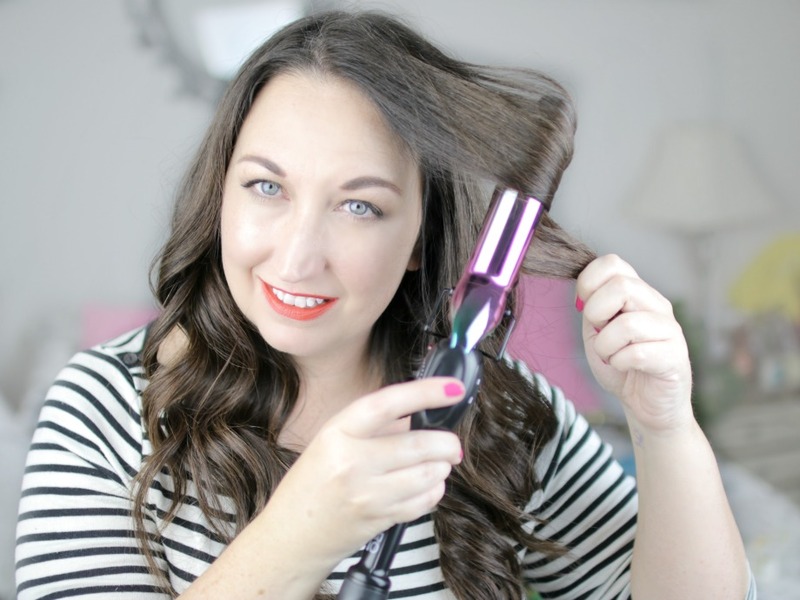 I always struggle when curling my hair and this tutorial is so helpful! Love loose curls and I cannot wait for fall to start curling my hair again! I have been avoiding heating tools all summer and I missed these curls so much! Great tutorial! Thank you so much for saying the barrel size! That is such an important pieces that most leave out haha! 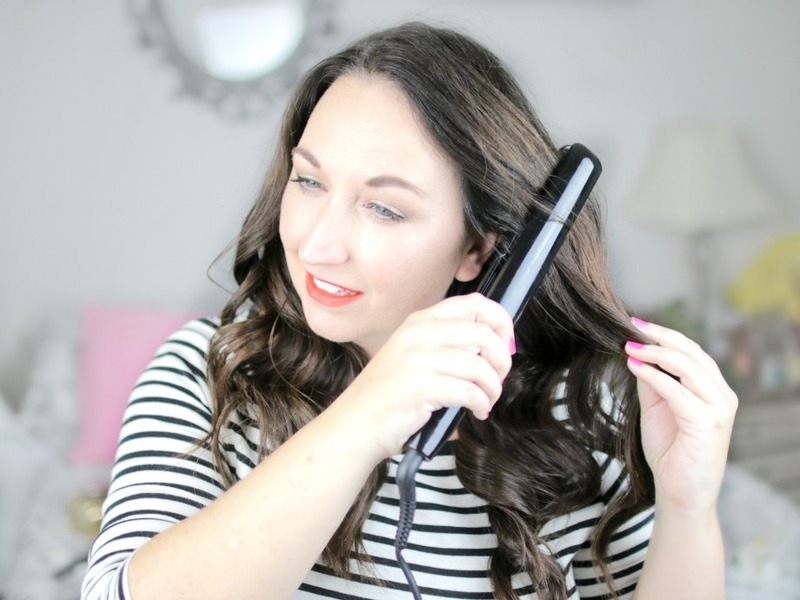 I have never thought of using a straightener on the ends...genius! I'm going to have to try that this weekend. Thanks for the tip and have a great weekend, Elle! 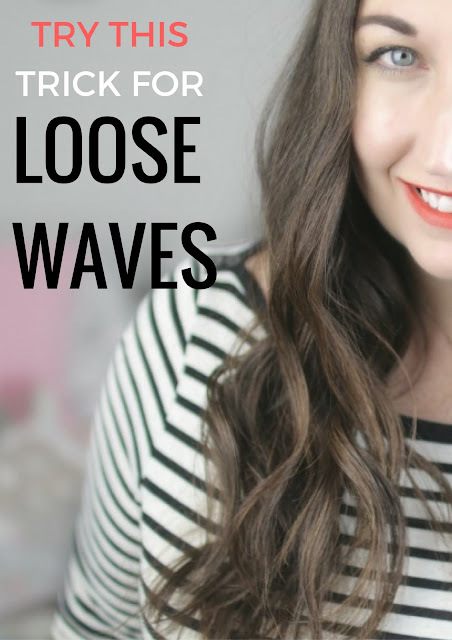 I've always been such a dunce at curling my hair, but am always looking for those fun loose waves. I've given up on the curling iron since I always get the clamp mark, but my wand seems to be the best tool for me. 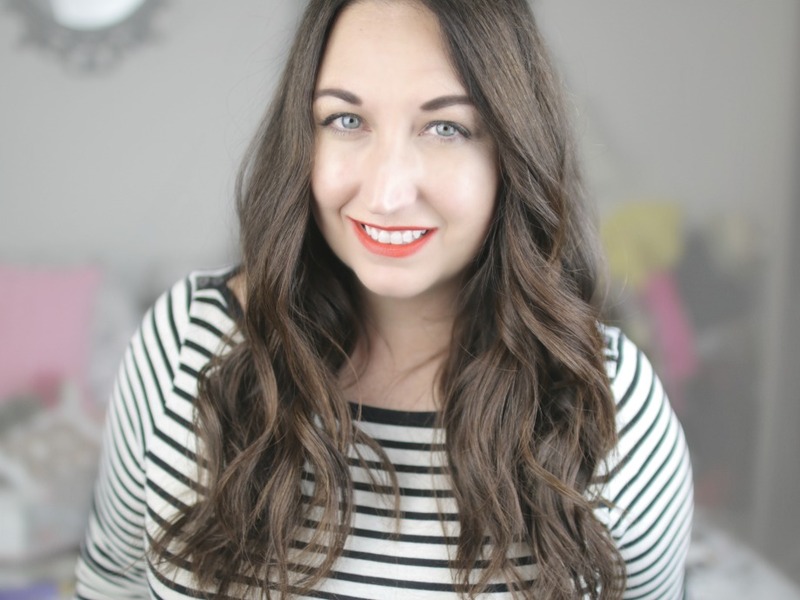 Your hair looks fab, gorgeous loose waves! I've never thought to combine the straightner with the curling iron. That curling iron IS so pretty! Thank you for the tip! I can't seem to get beautiful waves like yours! I def love loose waves! Mine always tend to look more curly like your hair on the right. I don't curl in diff directions so I will have to try that next time! You always do have the prettiest hair! I wish I could get mine to hold curls. It is so stubborn! Love the way your waves turned out! I haven't mastered the waves yet, but your tips are so helpful I need to try again! Elle your hair is always perfection!!!! I have naturally wavy/curly hair yet do curl it to enhance the effect and get more definition. My big problem is that my curls don't last! I curl, I cool, I wait before touching but they just don't have the staying power. Anyone else have that problem? Look at you just rocking those waves! Thanks for the how to! yat thanks for this! I always love your hair! I will be trying your method! Love the waves! You have great hair, Elle! Your hair is so pretty and shiny! Love the way it looks! Great tips! I have the hardest time curling my hair and have only managed to get the polished waves. I'll have to try these tricks to get that undone look! I have that same curling iron and have used it all of once because I just can't get the hang of it but I do love the messy look for everyday wear instead of being polished. Ok, I gotta dust that thing off and try again! Love the loose waves and your hair looks so pretty and shiny!! Your curls always look so great! I so wish I could have long hair so I could do messy curls, but my hair is so thick that it's just a pain when it's long. I would never have thought about busting out a flat iron. Genius! I need to try that flat iron trick!! I'm seriously so bad at curling my hair. I always make it too curly and then I feel too fancy. I admire anyone who can do and pull off beautiful beach my waves like you can!! Loved your curls, I bet not only one relative, but everybody loved them at your nephew's birthday! Your hair is amazing! 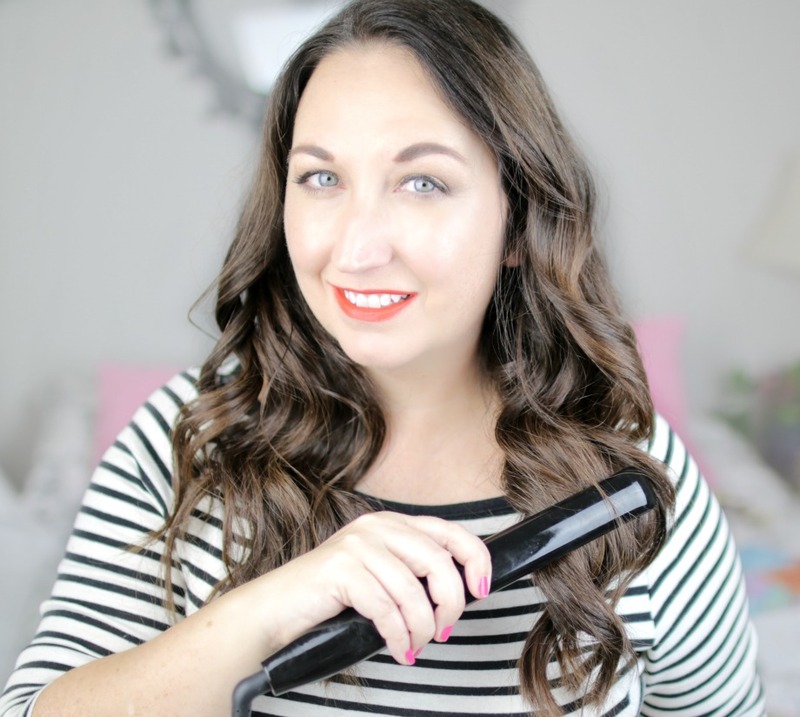 I liked this curling iron, that is a bit bigger and the price is incredible! I will try this look! i have heard the trick about doing it in different directions, but i've never actually done it - i'll have to try it this weekend. your hair always looks fabulous! That curling iron is really pretty! I like shiny things too lol! Nice waves by the way! Your waves are so beautiful! My friend told me the trick about trying to alternate the directions of the curl, and I love your idea for using a straightener if you've already curled your hair! I love your loose wavy curls. I'll definitely try it.